S.A.T. 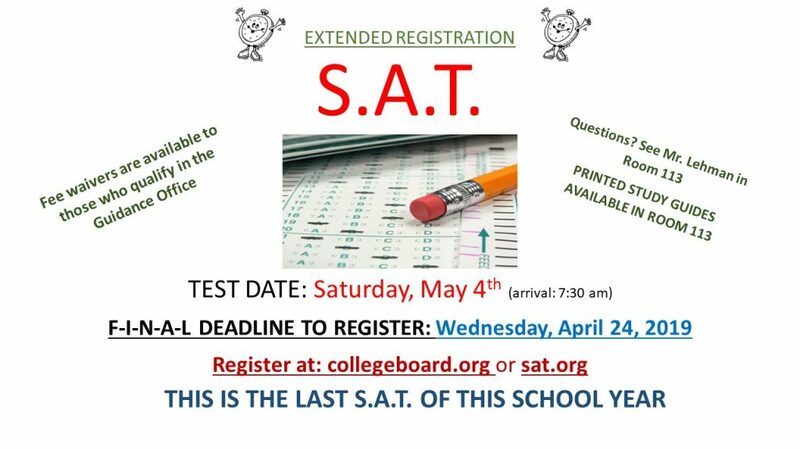 Testing date will be Saturday May 4, arrival time of 7:30, testing starting at 8:00 am. Please remember your picture ID, Test Registration Ticket, a calculator and several #2 pencils. You may also bring a snack and a drink for break time. You may bring a cell phone, they will be collected by the proctor and returned at the end of the test.